The Toronto Raptors Are Extinct, Now What? 65 million years to the day (give or take) since dinosaurs were wiped off the Earth, the Toronto Raptors faced their own destructive meteor in the form of LeBron James. 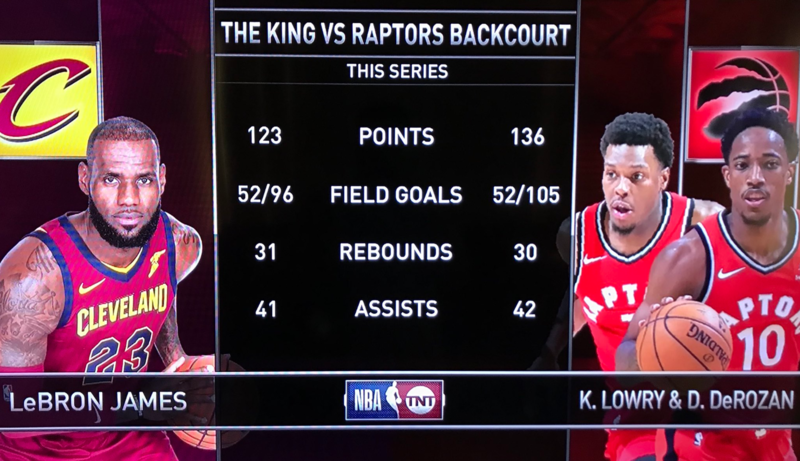 After three relatively close battles in the series, Toronto essentially rolled over to the King and the Cavaliers in Game 4 — dropping the deciding match-up by 35 points. It was a shellacking from the very start, with Cleveland connecting on nearly 60-percent of their shots. It’s the second time in as many years that Cleveland has swept Toronto. In the process, this may have been the final nail in the coffin of this current Raptors group. 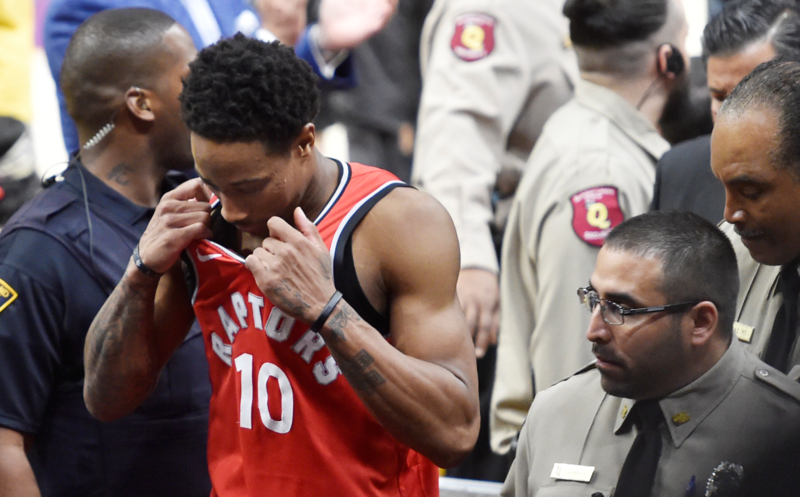 The lasting image of DeMar DeRozan being ejected from Monday’s game can’t be how Toronto envisioned their season ending. A 59-win team (most in franchise history) had bigger aspirations than getting swept by the worst LeBron-led team in years. In their defeat, the Raptors became the first No. 1 seed to get swept before the Conference Finals under the current format. Fingers will be pointed, and questions will be asked. It’s safe to say at this point, however, that the Raptors have no excuses. Dwane Casey will be the first name on the chopping block. 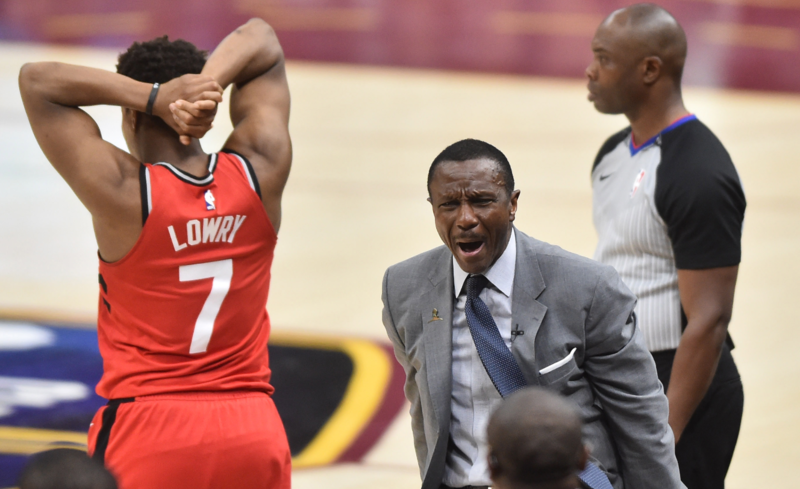 His decision to bench DeRozan in Game 3 came under fire (despite almost paying off). He’ll also get some heat for opting to bench Jonas Valanciunas in Game 4 — who heading into Monday was averaging 15.7 PPG and 14.7 RPG on 50-percent shooting in the series. Between those two, that’s $43 million toiling away on the bench as Toronto extended their playoff losing streak against the Cavaliers to 10. Firing Casey hardly fixes any of the problems Toronto has faced. He’s not a needle-mover in either direction. However, Casey has gotten the best out of his bench, managed his stars’ minutes, and seems genuinely liked by his players. If Toronto had Gregg Popovich or Brad Stevens on their bench instead, the series certainly could have been closer. With that said, Casey shouldn’t shoulder a majority of the responsibility for this loss. Where the Raptors should be searching for answers is within their roster. Masai Ujiri has deservedly received praise for the product he’s put on the floor. Though as it currently stands, the ceiling has been reached. DeRozan and Kyle Lowry are set to make a combined $120 million over the next two years (with DeRozan on the books for an extra year beyond that). No matter how you look at it, that’s a ludicrous amount for a backcourt that isn’t Stephen Curry and Klay Thompson. To the fan base’s ultimate dismay, breaking up the best era of Toronto basketball looks to be their best move. Toronto is a unique spot. In the era of Super Teams, the Raptors have chosen to build against the grain. Instead of filling the spots around their stars with veteran ring chasers, the Raptors have a trove of role players that haven’t even hit their prime. Starting wing OG Anunoby turns 21 in July, and the bench mob (Fred VanVleet, Delon Wright, Pascal Siakam, and Jakob Poeltl) has an average age of 24. Even Lucas Nogueira (25), Norman Powell (24), and Malachi Richardson (22) have potential as rotation guys. Every player just mentioned (minus Richardson) has some form of playoff experience with room to grow. 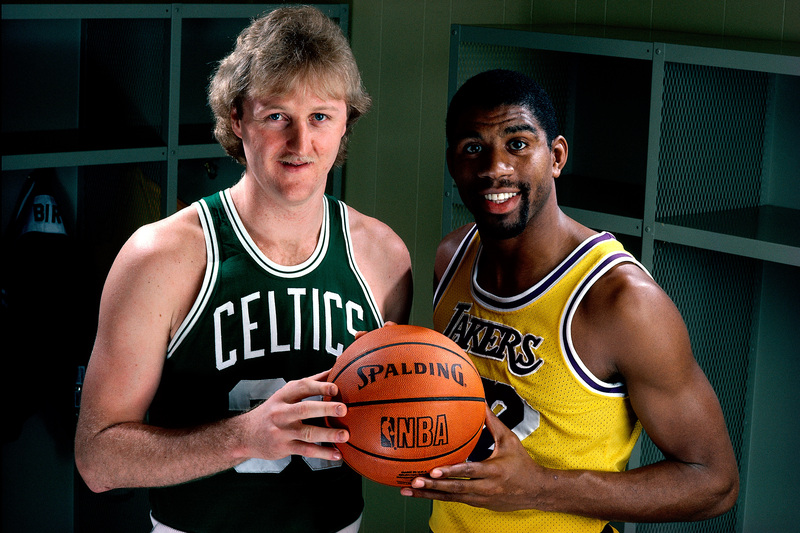 Of course, precisely none of those guys project to be All-NBA talents. It’s a collection of guys that will top out at as the fourth or fifth-best players on a great team, and that’s perfectly fine. If Toronto is able to move both DeRozan and Lowry, they become a sub-30 win team — and thus have a chance to make a big splash in the 2019 NBA Draft. Adding a top-5 talent to the likes of VanVleet, Siakam, and the rest of those guys instantly boost their stock. Toronto’s young guys are ready to contribute right away — though they desperately need a star to bring it all together. Moving on from bigger contracts and getting a controllable 20-year-old looks better than running it back with DeRozan and Lowry yet again. Finding a suitor for Toronto’s pair of guards is a bit tricky. Wings are typically easier to deal, but DeRozan is an atypical player. He doesn’t space the floor, and would look clunky alongside other players who can’t shoot from the perimeter. Lowry made it work due to his deep range, but it really takes a special group of players to get DeRozan at his best. Teams that are “one piece away” could be in the discussion (Miami and Utah come to mind). Lowry doesn’t possess quite the same ceiling as DeRozan, but he also doesn’t have as many weaknesses. He’s a good defender that can thrive offensively with or without the ball. It’s easy to see Lowry being an instant impact player on a team like the Spurs (though the fiscal restrictions would be quite a hurdle). He was linked to Philadelphia in the offseason. Lowry played at Villanova, and has a skill-set that would fit well with Ben Simmons and Joel Embiid. With multiple expiring contracts this upcoming summer, the Sixers could absorb Lowry’s monstrous deal — and then have him off the books by the time they need to fork over the big bucks to Simmons for an extension. The Raptors certainly have a lot of decisions to make this offseason. The sky isn’t falling quite yet in Toronto, as their excellent history in drafting has afforded them a bit of flexibility. Although DeRozan and Lowry deserve to one day have their jerseys hanging from the rafters of Air Canada Centre, moving on from both of them certainly needs to be on the table.